Water features come in many different shapes, sizes and functions. It is said that the constant flow of trickling water helps to relax the human body and take away stress. Water features can be installed as a stand-alone unit, or can drain into a pool or catch basin. Most times a water feature is designed to reuse the water in a circuit utilizing a catch basin and pump to transfer the water back to the top of the water fall. Waterfalls can be made out of a variety of building materials, predominantly out of stone for longevity. Ponds can also be made large and deep enough to be the home for some fish species and aquatic life. 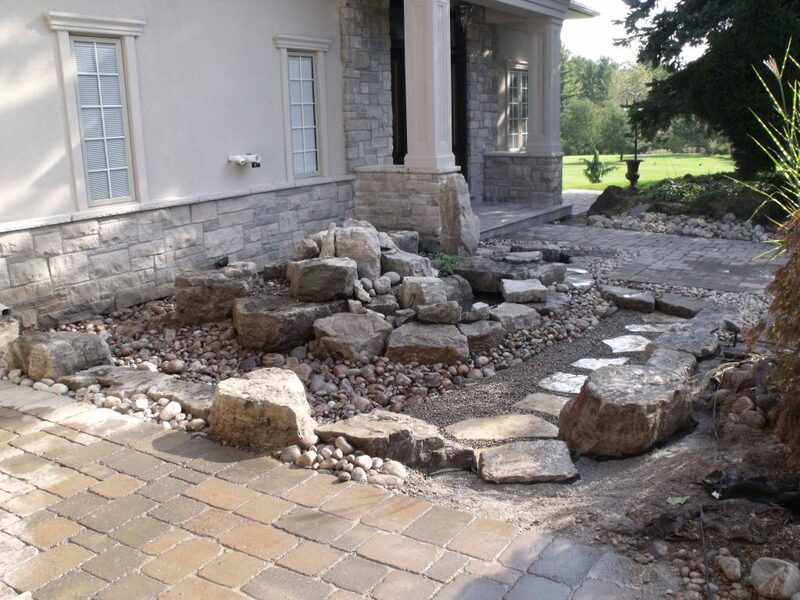 If you would like some stress relief let us know how we can incorporate a water feature into your landscaping today.